CPV looks to be making its big move -- and it's happening in San Diego, Caliifornia. San Diego Gas & Electric (SDG&E) and Soitec just announced two additional 25-year contracts for a total of 125 megawatts of power from concentrated photovoltaics (CPV) to be generated in the utility's service territory. The energy will be produced with solar modules manufactured in a new Soitec factory to be built in the San Diego area. That's 125 megawatts added to three San Diego contracts the two companies signed in April for 30 megawatts of CPV-generated solar power. Combine that with the 150-megawatt Tenaska project, also undertaken with Soitec, and all of the sudden, CPV is on the map in the U.S. The Tenaska CPV solar power plant, known as Imperial Solar Energy Center (ISEC) West, will be built on a 1057-acre former farmland site in southern California’s western Imperial County; completion is targeted in 2015. The plant, if active today, would be the largest CPV power station in operation. Anyway, that's 305 megawatts of CPV soon to be powered up in San Diego alone from a single vendor. Total photovoltaics installed in the U.S. in 2010 was about 980 megawatts. While the CPV market is currently just a small portion of the world’s total installed solar base at just 28 megawatts of the total 33,000 megawatts, CPV technology is finally gaining momentum with multiple utility-scale project announcements over the past year. This growing pipeline of CPV projects would seem to be a vote of confidence from solar developers for a technology that, to date, has been marginalized because it was considered unproven and risky. 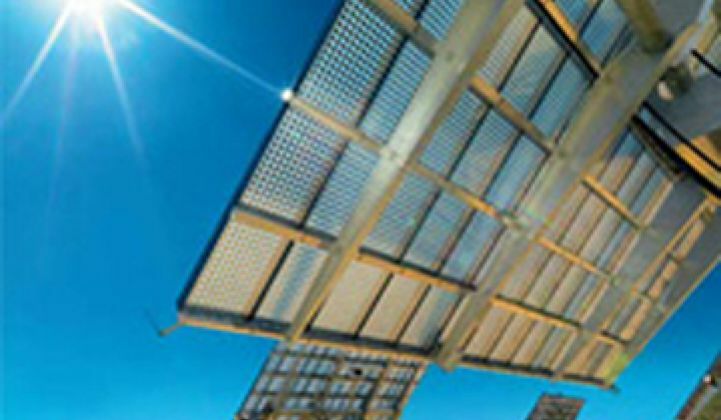 GTM Research’s report, Concentrating Photovoltaics 2011: Technology, Costs and Markets, authored by Senior Solar Analyst Brett Prior, looks at the competitive dynamics affecting global CPV market potential. The report focuses on CPV’s position within the greater solar power landscape, with an examination of how CPV stacks up against non-concentrating solar technologies on a series of key technological and financial metrics. Overall, GTM Research’s report forecasts annual CPV installations to surpass 1,000 MW per year by 2015. The forecast is predicated upon CPV companies successfully achieving their cost reduction roadmaps, and bringing the installed cost of a CPV system down by more than 30 percent over the next 4 years. For more in-depth coverage of the CPV market, check out the report: Concentrating Photovoltaics 2011: Technology, Costs and Markets.